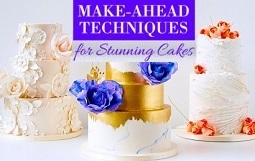 Fashion Week continues here at Cake Geek Magazine following on from Monday’s designer handbag cake showcase with a fabulous collection of designer shoe cakes and tutorials. 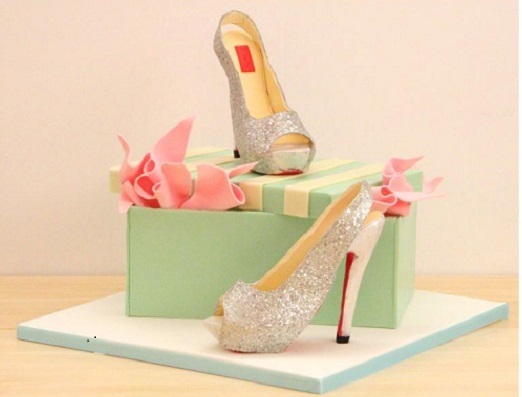 The superb jewelled Louboutin shoe and shoebox cake above was created by designer, Ella Yovera of La Cupella Cake Boutique. To the left, we have an awe-inspiring topsy turvy style shoebox stack by Sweet Gems, featuring Valentino and Louboutin designer shoes and bags. 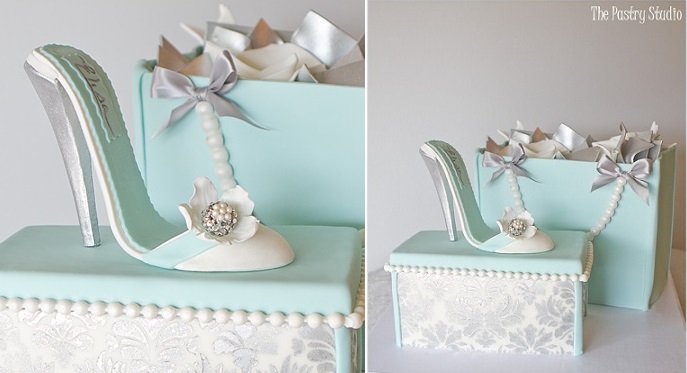 As always, The Pastry Studio have a created a stunning piece of cake art in this ulta chic mint stiletto and and shoebox cake, superbly elegant with beautiful pearl detailing and a pretty ribboned gift bag. 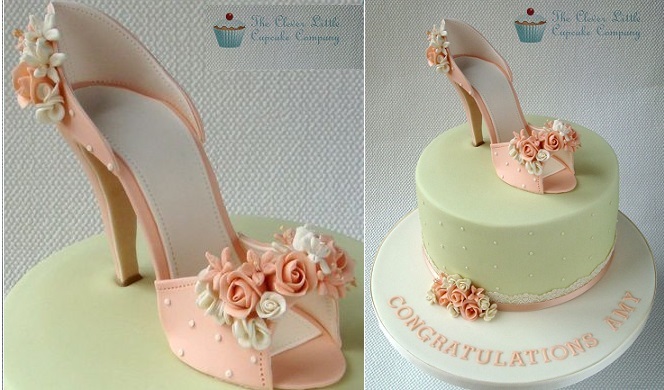 One of the most amazing cakes we’ve seen this year is the incredible Jimmy Choo wedge heel shoe from We Love Yan’s Cakes, UK. 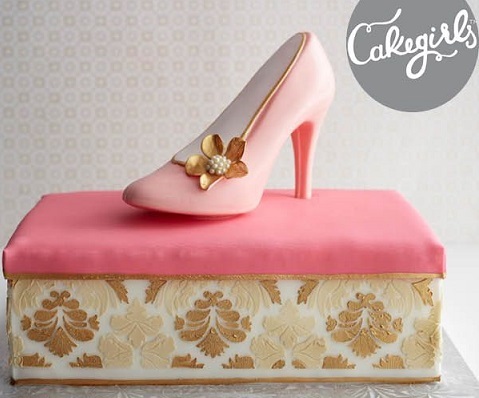 If you’d like to try your hand at re-creating this edible shoe design, you’ll find a tutorial here on a similar style wedge shoe for guidance: wedge shoe tutorial from Tarttokig, plus another great wedge shoe design here from Pretty Witty Cakes by award-winning cake artist, Amanda Macleod. 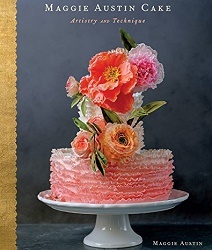 The outstanding couture lace shoe design below could easily rival the work of the world’s top shoe designers but is by the wonderful cake designers at Sweet Little Morsels. 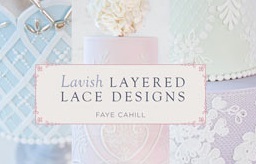 An exquiste design that any fashion follower would simply adore. 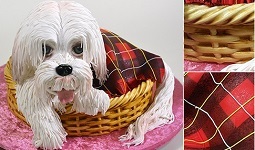 Following on from our designer handbag feature earlier this week, we’re showcasing more exquisite high fashion sugar art below from cake superstar, Verusca Walker. 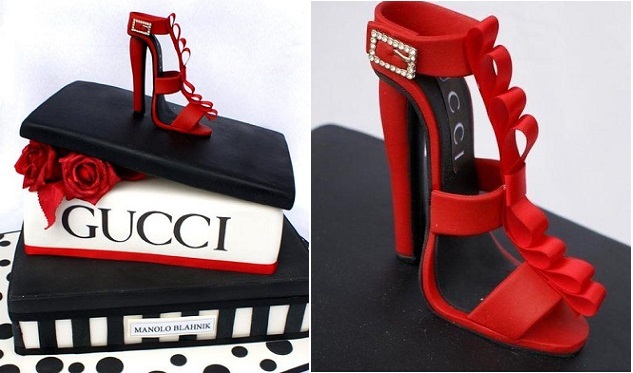 Verusca has designed an ultra glamorous collection of sugar stilletos above in classic black and silver – Manolo Blahnik, Chanel and Jimmy Choo replicas, as well as the ultra glam Gucci shoe cake design below (the tutorial for which Verusca shares here: ruffle shoe cake topper tutorial). 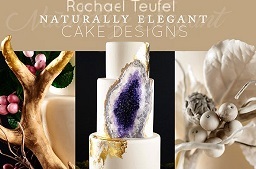 We have two outstanding “vamp style” sugar shoe designs below by the renowed sugar shoe artist, Cake Dreams by Iris, which are also available to buy on Etsy here. 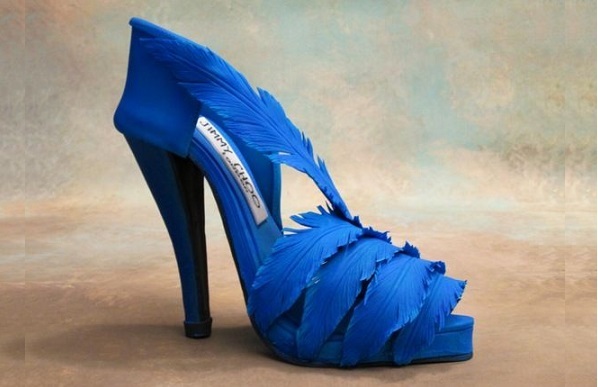 Iris shares her tutorial for the fabulous Jimmy Choo feather shoe below, here: feather stiletto tutorial by Cake Dreams by Iris (via Sugar Delites). You’ll also find a tutorial for the elegant ankle strap shoe below, courtesy of Cakes by Iris, right here: ankle strap high heel shoe tutorial. 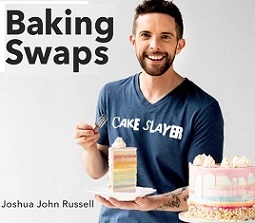 The fabujous multi-coloured platform heels below are some of the many shoe cake designs taught by Verusca Walker. You can check out more details of her international classes here. 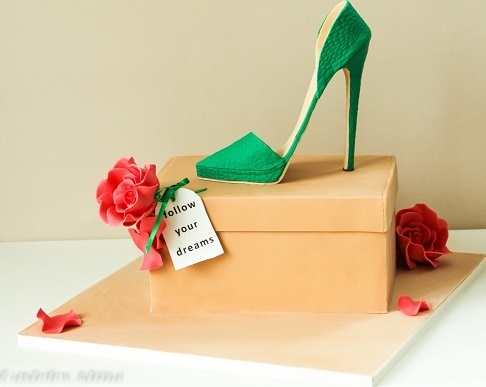 Pasteles Alma have created the beautiful fashion-forward green stiletto cake below, with a beautiful sentiment attached which would make it a terrific cake for an 18th or 21st birthday party. 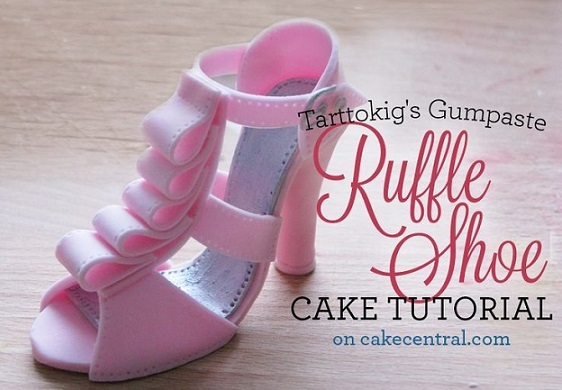 The fabulous pink ruffle shoe cake topper (created by Tarttokig and featured on Cake Central) is demonstrated in this tutorial here: ruffle shoe tutorial. 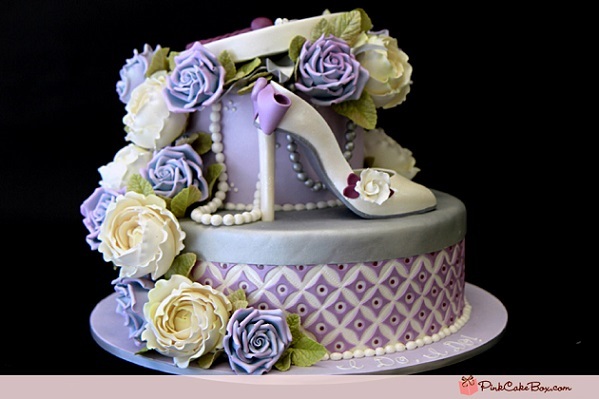 Rose Sen takes you through how to create the elegant shoe and shoebox cake below in her tutorial, which you’ll find here: high heel shoe cake tutorial. 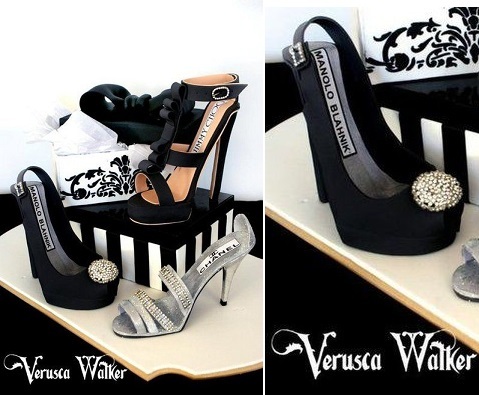 Another stunning stiletto shoe and bag cake below in funky black and pink by Verusca Walker. 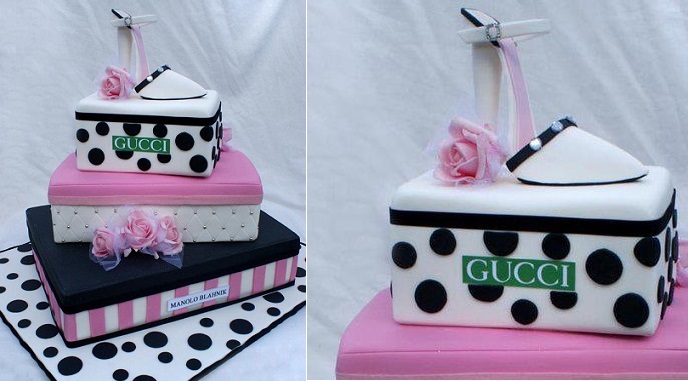 Gucci shoes in white this time, accessorized in pink and black with polka dot and striped shoebox cakes, by Verusca Walker. 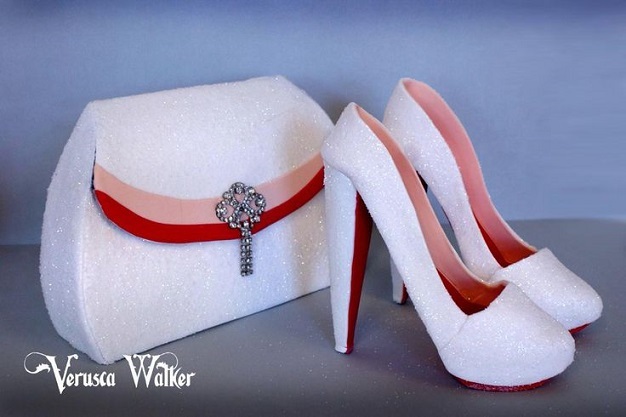 Verusca’s glitter shoes and handbag cake in white with pink and red accents, below. More glitter and glam in the fabulous shoe cake design below from a previous Kaysie Lackey class hosted at London cake school, Fair Cake UK. 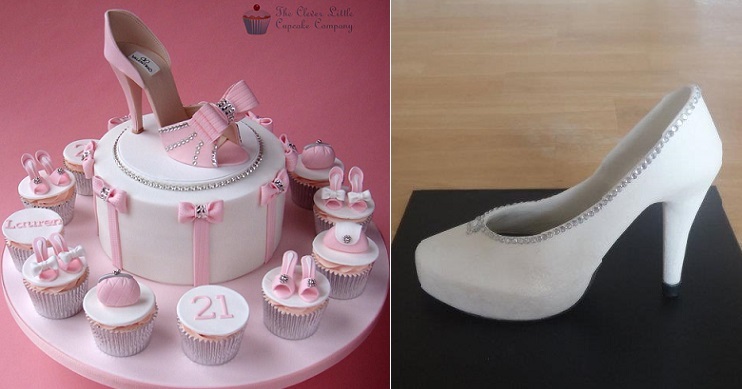 The wonderful Clever Litte Cupcake Company have created the ultra girly high heel shoe 21st birthday cake, below right, together with matching cupcakes. 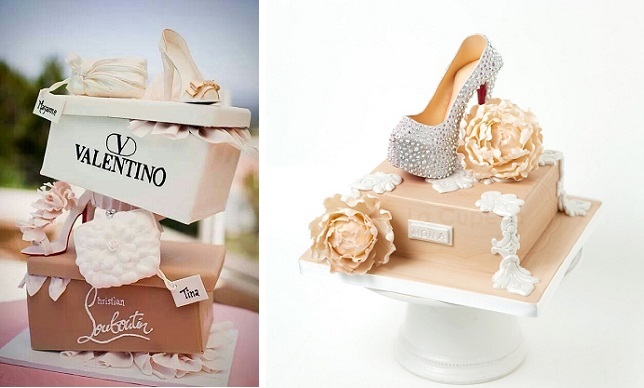 with a beautiful bridal shoe cake topper (below right) by Cakes by Beatriz. 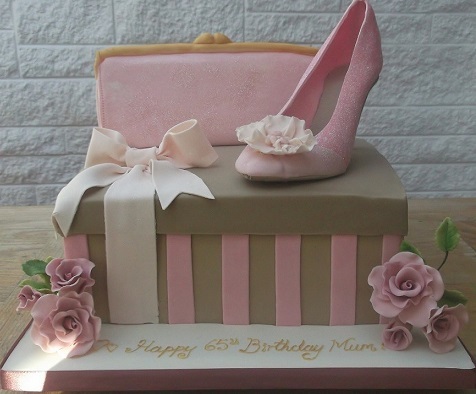 Sylvie’s Cake Creations have created this very pretty striped shoebox cake with pink high heel and matching purse – a pretty design for ladies of all ages. 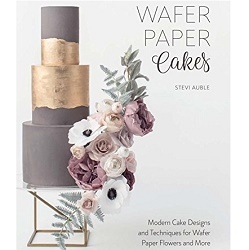 Another design suitable for sophisticated ladies of all ages, this time by The Pink Cake Box in a beautiful shade of lavender. The Pink Cake Box also have a shoe and shoebox cake tutorial here. 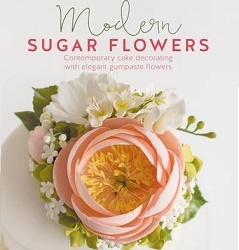 The Clever Little Cupcake Company feature another pretty shoe cake design in their cake collection – a vintage style in pastel peach and sage greeen – a beautiful cake for lots of occasions. 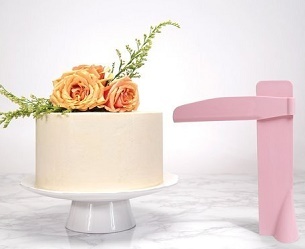 You’ll find the tutorial for the fabulous shoe cake below from Chicago’s Cake Girls here: shoe and shoebox cake tutorial, complete with a pink chocolate shoe. Chocolate shoes, with or without cake, are a fantastic gift idea for a birthday girl or as a Valentine’s treat. 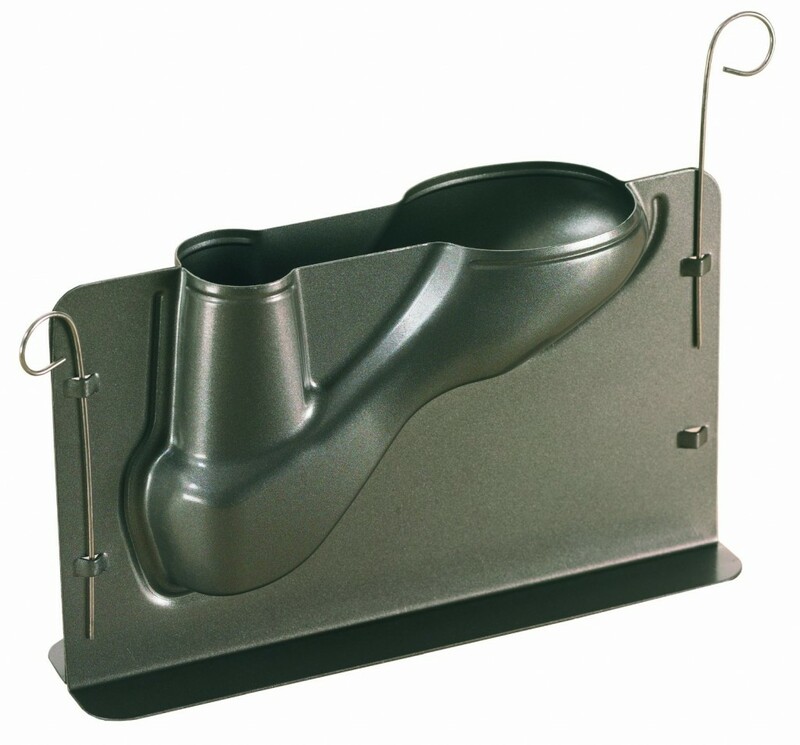 Chocolate shoe moulds are available to buy online here, plus another tutorial from the Sugar Teachers blog also to help you with your chocolate creation: chocolate shoe tutorial. We have more fabulous chocolate stiletto high heels in the collection below via Edible Shoes and Bags. 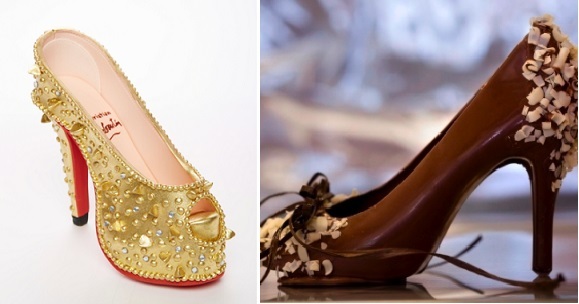 The exquisite chocolate gem encrusted shoe below is from the Lulu CakeBoutique, plus we have a second fine example of chocolate couture from 3 Sisters Chocolate (below right). 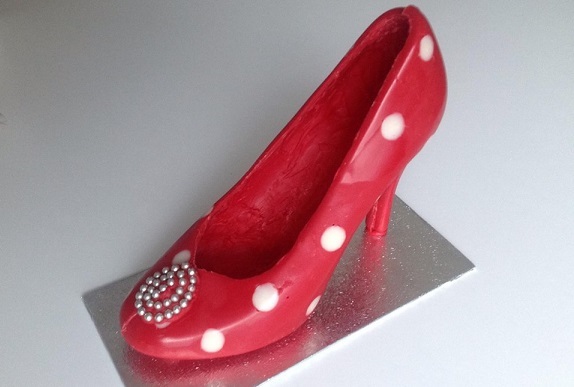 Our final chocolate shoe is a beautiful little polka dot number from The Maple Cakery, below. 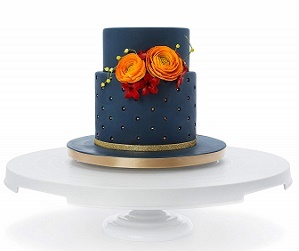 A glass slipper makes a beautiful cake top decoration, and not just for Cinderella cakes. 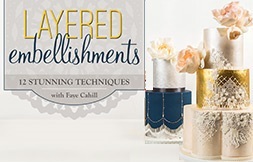 The effect can be created easily with gelatin and Tami Utley of Sugar Art by Tami has put together a tutorial here to show you how: gelatin shoe tutorial. 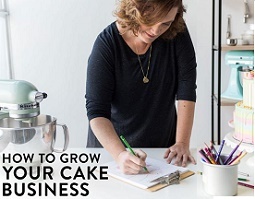 Craftsy have a class by top New York cake artist, Elisa Strauss of Confetti Cake, showing you how to create a range of stiletto styles and stylish embellishments. 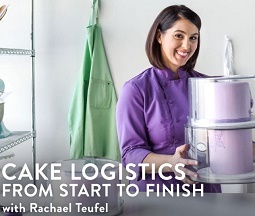 You’ll find all the details here: High-Fashion Heels (with Elisa Strauss). 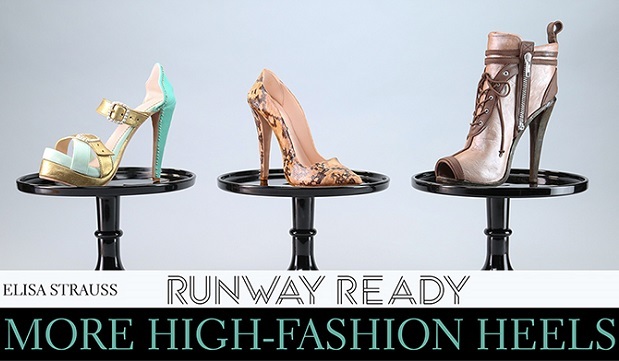 Elisa now has a second gumpaste shoe class available on Craftsy here: Runway Ready High Fashion Heels. 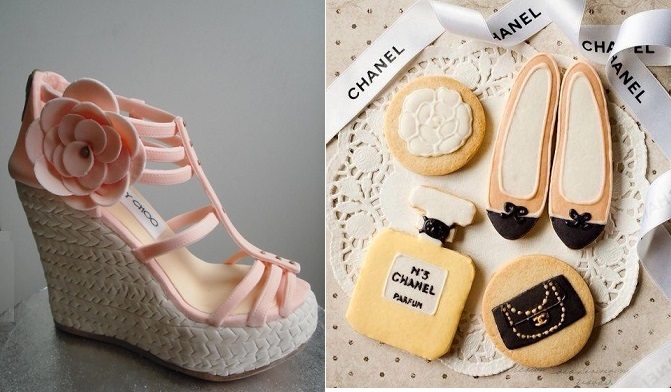 High heel cookies make a fantastic addition to a party for a fashion fan, whether a hen party, 21st birthday, 30th or beyond. The fabulous stiletto cookies below are by Lindy Smith and you can buy her platform stiletto cutter here. If you fancy the idea of your sugar shoe being made of all cake instead of gumpaste and fondant, then check out Eddington’s high heel shoe cake tin below.